Nothing is worse than having a little one who doesn't feel well. One of the most common ailments for children is an earache. Children are more vulnerable to developing middle ear infections because their Eustachian tubes are shorter and more horizontal. We have all been there -- your child wakes up in the middle of the night, crying that their ear hurts -- it's heartbreaking. It is guaranteed that if your child has an earache or infection that you can expect a child who is uncomfortable, tired and cranky to say the least. Trying to soothe a child with an ear infection isn't fun and alleviating the pain that your child is feeling will definitely be at the top of your list. While it can seem tempting to get an antibiotic prescription from your doctor, antibiotics are over-prescribed, they can have adverse side effects and they aren't always necessary. The fact of the matter is, most ear infections will clear up on their own. We recommend that you consult your naturopathic doctor to determine whether the infection is viral or bacterial. 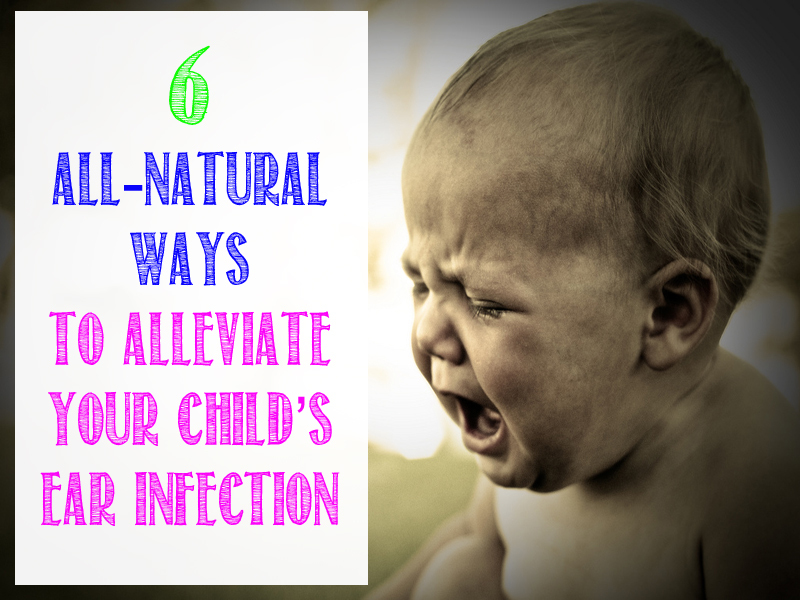 Then, decide which all-natural remedy to utilize to make your child feel better quickly. You will feel good knowing that you are using common natural household ingredients to alleviate your child's ear infection. Read on for 6 all-natural ways to alleviate a child's ear infection so your child will start to feel relief. 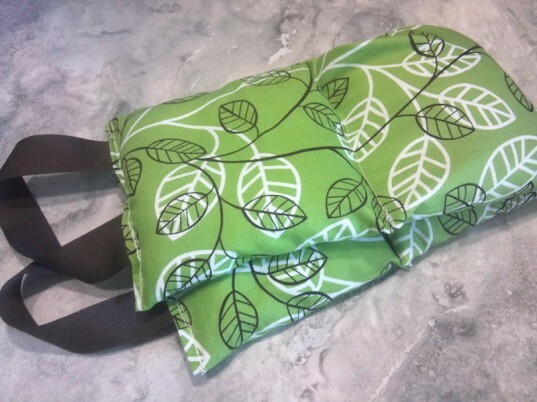 A rice filled heating pad that you microwave for a few minutes is a great way to alleviate an ear ache. If you have a rice filled heating pad on hand, perfect. If not, you can simply fill a clean sock with rice, tie the end closed and microwave. Placing the warm rice heating pad on the ear will help to alleviate the pressure, and your child will feel immediate relief. You can add a little essential oil to the rice for the added benefits of aromatherapy. You can heat a few teaspoons of olive oil in a saucepan over low heat (do not allow it to boil). Add 1/3 clove of garlic finely minced, allow it to dissolve into the olive oil. Let the oil completely cool, then add a couple of droplets to the infected ear canal. 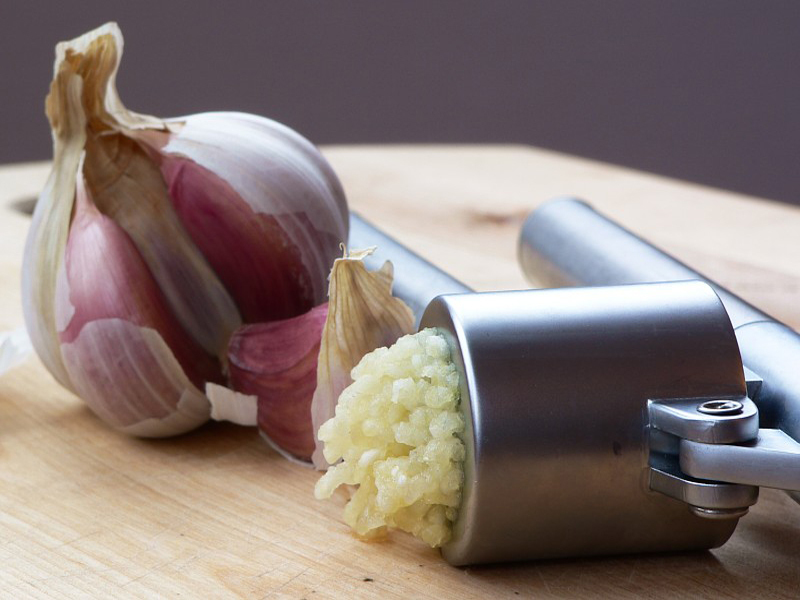 Garlic is an anti-microbial, which is perfect for helping to alleviate an ear infection. Lavender oil is an amazing antiviral, antibacterial, antifungal and antiseptic, making it a great option for alleviating ear infections. You can take a cotton ball, dip it in lavender oil, squeeze it to remove excess oil. Then place it at the opening of your child’s ear. The fumes will reach the infected part of the ear and treat it with all its healing properties. Then, add a drop of lavender oil to the back of the infected ear — the back of the ear is where the mastoid bone is located. Massage the area gently with your fingers in a circular motion, if you do it twice a day it will help to cure the infection. Mix 2 drops of vinegar with 10 drops of water, then add a few droplets into the affected ear. Vinegar is an excellent antibacterial and will help to balance the PH in the ear, alleviating the infection. 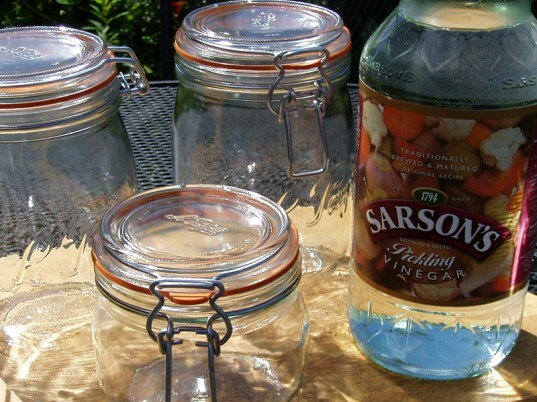 This is a very affordable remedy and almost everyone has vinegar on hand in their kitchen cupboard. 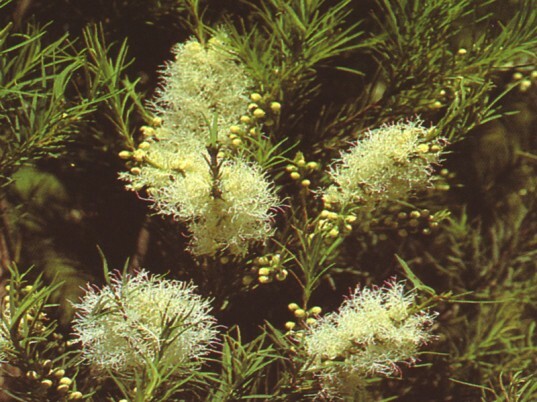 Tea Tree Oil is an excellent remedy for ear infections. Place 2-3 drops in the infected ear and lay on opposite ear for 15-20 minutes for relief. My son swims almost every single day and gets swimmers ear frequently. We use tea tree oil on a regular basis in his ears and we have been ear infection free for years! 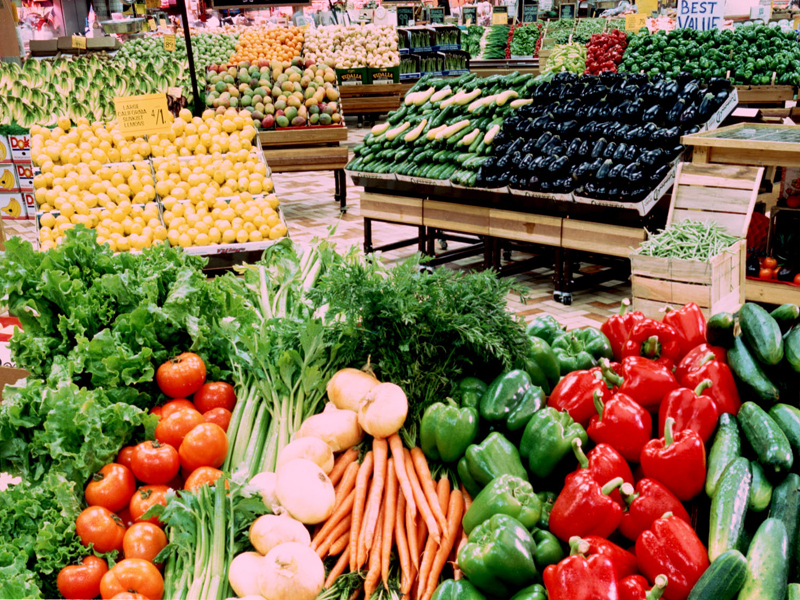 As with most things relating to your health, the most common underlying problem is diet. Consuming freshly squeezed vegetable juices during an acute ear infection outbreak will help break up and eliminate mucus from your body. My family is huge on juicing and will amp it up when one of us starts to feel under the weather. My son loves a good carrot, celery, ginger root and apple juice. 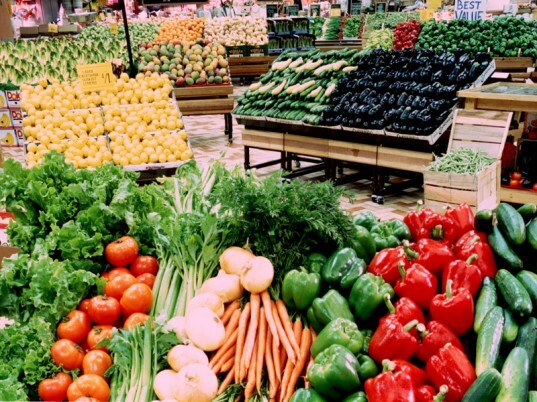 Adding extra vegetables to your diet during an ear infection can help to alleviate it. Read our guide to 6 kid-friendly fruit and veggie juice recipes your little ones will love. Lavender oil is an amazing antiviral, antibacterial, antifungal and antiseptic, making it a great option for alleviating ear infections. 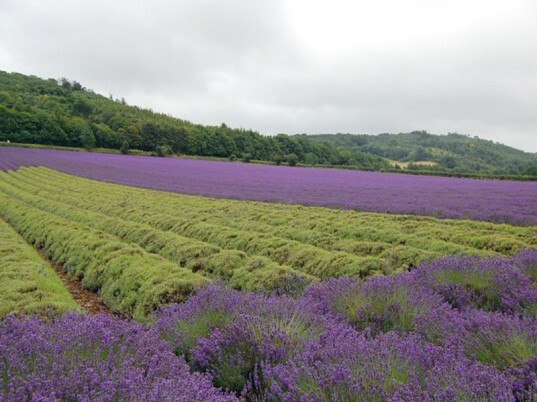 You can take a cotton ball, dip it in lavender oil, squeeze it to remove excess oil. Then place it at the opening of your child's ear. The fumes will reach the infected part of the ear and treat it with all its healing properties. Then, add a drop of lavender oil to the back of the infected ear -- the back of the ear is where the mastoid bone is located. Massage the area gently with your fingers in a circular motion, if you do it twice a day it will help to cure the infection.